I get fidgety when I’m not writing anything. And right now I have nothing to write. Don’t get me wrong—I’m working on multiple projects right now. But one of them is Book #3 in The Reinhold Chronicles, and that mammoth of a draft needs words to be cut, not added. I also have a super exciting concept for my next novel after the Reinhold books, but that’s just an outline—and most of it’s still just a bunch of junk rolling around in my brain. So, yeah, I haven’t been using much more than the backspace key lately. Is this sentence absolutely necessary? How about this dialogue tag? Why say “sat down” when you could just say “sat”? Why have her sit at all when she’s just going to stand a few lines down? Really, really, deliciously exciting work. It’s necessary (Book #3 is currently 646 pages) but fun, it is not. I realized that I’m filling the writing hole with reading—a lot of it. I set a goal on Goodreads to read 50 books this year (kind of underachieving, if you know me) and I dove straight into my to-read pile at the start of the new year. I’m going to take advantage of this weird in-between-writing-novels time to knock several books off my list and hopefully gain some inspiration while I’m at it. It won the Pulitzer Prize, has topped Amazon’s charts for way longer than any book has a right to, and has universally positive reviews, so I figured this one would be worth checking out. 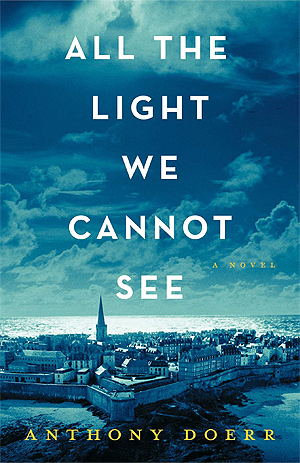 It’s historical fiction (brownie points) set during World War II (yes yes yes) featuring a blind protagonist (which is fascinating since one of my book ideas involves a protagonist with a major disability). I’m only a few chapters in, and I’m gripped. The short chapters—three to five pages—make it easy to pick up and read even if you’re pressed for time. And the writing. Ah. It’s the kind of stuff I read and think, “Dang, I wish I could write like that.” Doerr’s prose explodes with sensory stimulation, and his blind protagonist, rather than limiting what we see, actually makes us “see” things even more deeply. Okay, I know I’m behind reading these, and I know Amazon says the age range is 10-14 years, buuuuut I’m a writer of YA fiction so I can read YA fiction whenever I want to, so there. It’s a really fun series. I enjoyed all the clever references to Greek mythology and language. 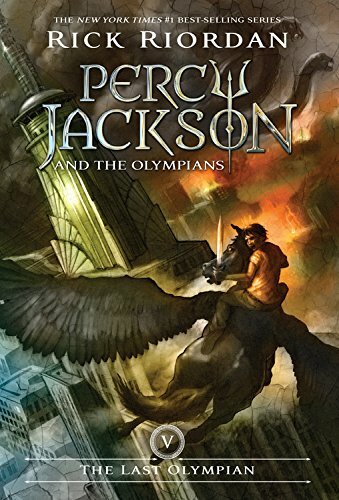 The characters are vivid (if sometimes annoying) and each story manages to be surprising, despite how much the books borrow from established myths. I liked book four—The Battle of the Labyrinth—best. It just felt more cohesive and mature than the other books. The Last Olympian has a charm of its own, just by nature of being the climax of the series. But if there are two things I can’t stand in any story, they’re: 1) invulnerable characters and 2) irrelevant subplots. Considering The Last Olympian is full of both of these things, it was pretty darn good. I’ve been warned to steer clear of the failed movie adaptations, so I’m keeping my distance. But in the right hands, these stories would almost work better as movies. Smartphones have become an irreplaceable part of our lives. They’re phones, computers, GPSs, cameras, pedometers, and meteorologists (among other things). 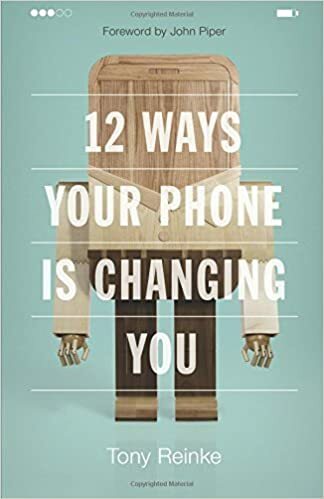 This book really forces you to think about smartphone use and the ramifications it has on your life, both short-term and long-term. I was expecting a rant about how wicked iPhones are and how we should throw them in the trash and delete our social media accounts and whatnot. Instead, this is a thoughtful, realistic investigation. Reinke isn’t putting himself above his readers or making hard-cut statements about ambiguous things—which is, quite frankly, refreshing for Christian nonfiction. Highly recommend. 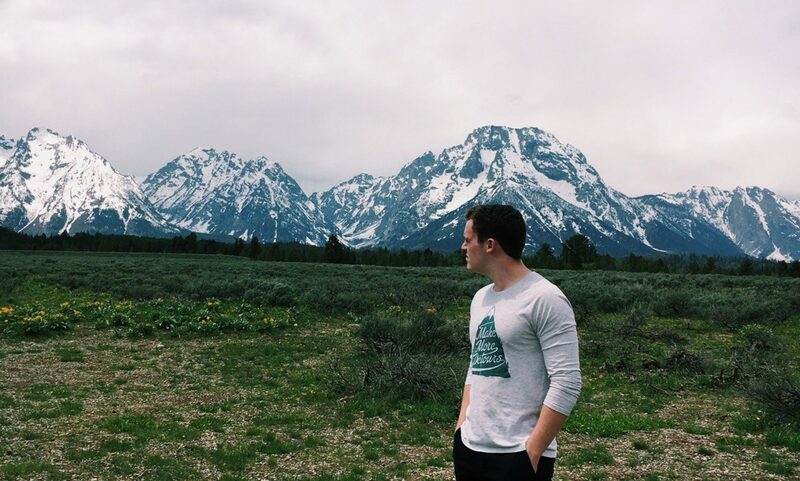 Barnabas Piper is the son of popular Christian writer John Piper and one of the hosts of the podcast The Happy Rant. 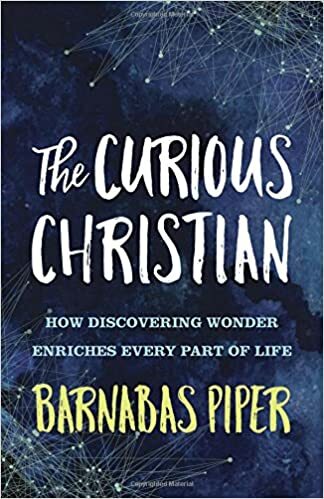 This short book explores how being a Christian changes the way we think about the world around us. Piper is sarcastic, creative, and honest—all of which I appreciate. Curiosity, he tells us, is a key to understanding the world. Curiosity is how we stay childlike even as we get older. It’s how we can be joyful and understand the deeper inner-workings of life that so many people ignore. It’s how we have healthy relationships: constantly being curious about the other person, always discovering more, never thinking that another human is static any more than we ourselves are. If I have anything negative to say about this book, it’s that (as short as it is) it could be shorter. But that’s how I feel about most nonfiction books, so take that as you will. What can I say? I’m a fiction writer. What are you currently reading? Any suggestions for my reading list this year—either classics or hot new releases? Sound off in the comments! What an interesting list! Thanks for sharing and good luck with your writing in the future!